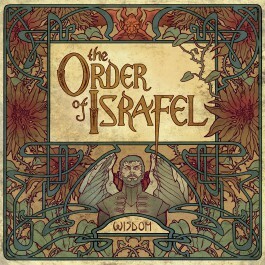 Anglo-Swedish band THE ORDER OF ISRAFEL boosts Tom Sutton of CHURCH OF MISERY, VIPER and ex.FIREBIRD fame on guitars and vocals. Otherwise it´s a Gothenburg affair consisting of Patrik Andersson Winberg, bass, Staffan Björck, guitars, and Hans Lilja, drums. Apparently they are not a band of youth and I think it´s great to see a record company go for a more experienced band. This is their first release and they seem to opt for a sound involving influences of Swedish doom giants CANDLEMASS.